2. What organizations have access to my non-public personally identifiable information? 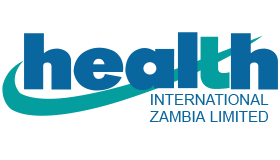 On the Health International website, we have a variety of areas where you can input information: to register with Health International or to process insurance purchase requests. Should you decide to apply for a particular insurance policy, you will be asked to provide additional information needed to complete an insurance application. Where permitted by law, your personally identifiable information may be used to verify information that you have provided, to request a credit report or review your claims history from a third party. 3. How is my non-public personally identifiable information used? used to help understand site usage through your internet address. Unless you expressly give us permission to do so, or unless required by law, we do not willfully disclose your personally identifiable information to third parties. You will always retain complete control over what information you disclose in the quoting / application processes. Health International does not sell, rent, loan, trade or lease any personal information collected at this site. With respect to third party sites to which you may link through Health International, any choices regarding the handling of your personal information will be described on such parties’ web sites. You should refer to the privacy statements for those sites for more information. 4. What security measures are in place to protect my nonpublic personally identifiable information? This site uses strong security measures to protect the personal data you provide. Your personal data is stored on a system not directly connected to the Internet. We use a variety of security systems and control measures to restrict access to your data. We use authentication methods to confirm the identity of trusted parties. We support encryption technologies to protect the transmission of your data when you are supplying it. Health International does not collect personally identifiable information from individual users under the age of 18 without parental or guardian permission via e-mail or the use of forms. 7. Changes to the privacy statement.